Will Gadd strapped on crampons for the first time at age eight. He did his first major ski traverse when he was 12. He started kayaking at 14; too young to drive, he would call every paddler in Jasper until someone would tire of the calls and take him to the river. Yes, he's obsessive. More than 30 years later, Gadd continues to chase mountain sports with the same enthusiasm. 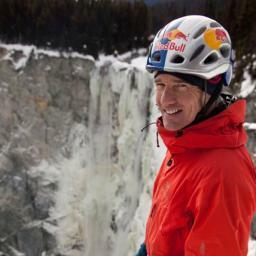 He has won three X Games ice-climbing gold medals, the World Cup for ice climbing, set the world paragliding distance record (twice), won the US and Canadian Paragliding Nationals and put up the hardest mixed and ice routes in the world for more than 15 years. He has also written a best-selling ice climbing book and generally had a lot of fun while re-defining several different sports. He shares his adventures through his regular Explore magazine column, TV shows (more than 100), presentations and as a coach and guide. His motto is, "Move." Gadd's Truth: Rise of the Eco-Hunter? Gadd's Truth: What Is Real-World Fitness?